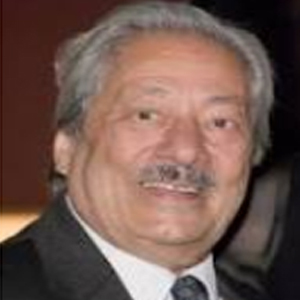 R I P , my Gentleman friend Saeed Jaffrey ! He was a Gentleman ,loving to the core . As an artiste he was par excellence. Being a Muslim his Urdu and HIndi was impeccable. He was the only British Indian who made his place In Bollywood. He did not rule long among his contemporari...es. Why? Because he was a professional to the core . He did not like chaperoning for a role. He had made his niche in the Theatre in UK , And even when he was ruling as a character actor in Bollywood, he never forgot his theatre in UK and used to go in between , even after Ray's "Shatranj Ke Khiladi", his National award winning performance with the equal histrionic actor Sanjeev Kumar. We used to meet often in Film /TV parties. He had his unique trade mark in parties. He used to drink scotch on the rock in his own mid-glass made of pure Silver. A smiling man with abundant grey hair with a silver glass and a pleasure to talk on any topic. He had produced one well made TV serial "Tandoori Nights". .In the presentation party , I had asked him ,how would he make a mark in TV world?, He cracked a solid joke. "When I was a student, I used to be a dullard. Once in 10 th class, my teacher told me "Saeed you do not know anything of history. ,But one day, I am sure , you will make a History." Friend Saeed ,You indeed proved it .